As of today, 5:4 is ten years old, so first of all i want to say an enormous thank you to all of you who have read, commented, enjoyed, shared and supported this blog over the last decade, especially to my merry band of patrons. As this is a special year for 5:4, i’ve planned some exciting things for the next twelve months, all of which will be revealed in due course. 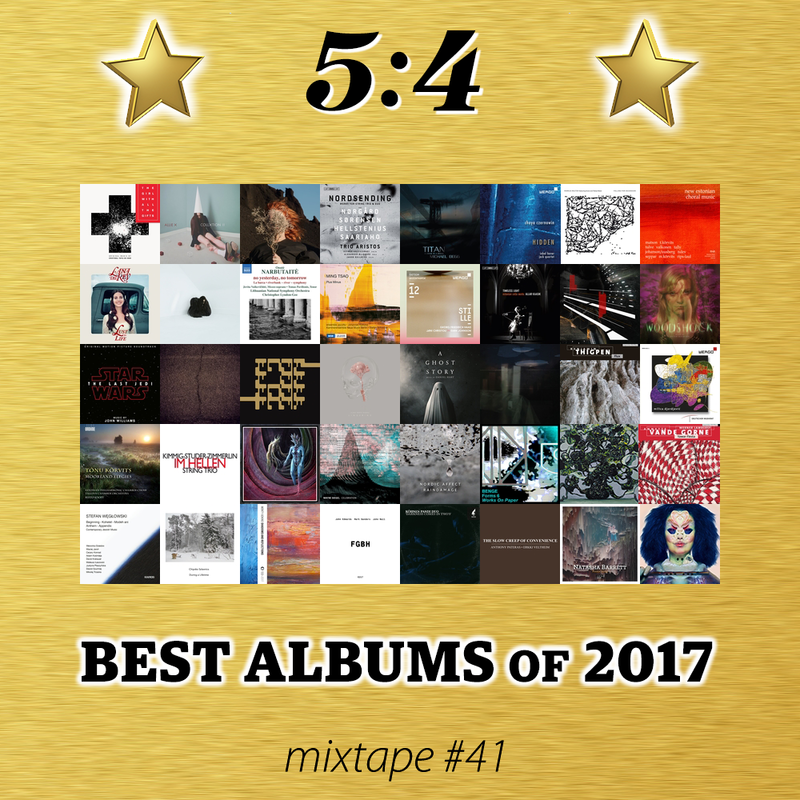 Meanwhile, i’m starting the year in traditional fashion, with a new mixtape featuring something from each and every album in my Best of 2017 list. It’s typically eclectic and non-partisan, and while in many respects last year may have left a lot to be desired, musically speaking this mix does at least prove that there was a great deal to consider and celebrate. Links to buy each of the albums can be found in the previous two days’ articles. i started last year’s Best Albums of the Year list concerned about whether or not such lists were a good, viable or indeed practical idea. This year finds me with no such reservations: lists are fun, lists are informative and inspirational, lists are just cool, dammit, and above all this particular list – in spite of its unavoidably provisional nature – is a great way to celebrate the most implausibly wonderful sounds that have entered my ears during the last 12 months. 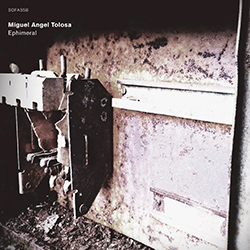 Ephimeral is a recent release of electronic music by Spanish composer and sound artist Miguel Angel Tolosa. Tolosa first got my attention in 2015 with Loner, his superb collaboration with Ingar Zach (which ended up on my Best Albums of 2015) and this disc has got me just as excited. 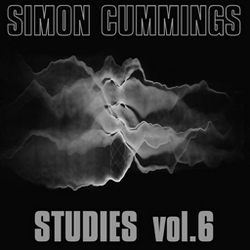 That title, though i’m unsure whether the spelling is implying something specific, hints at the fact that half of the ten pieces on the disc are very short, barely clocking two minutes’ duration. Some are a bit too ephemeral for their own good, but this is due simply to the fact that what Tolosa is doing feels too interesting to be curtailed like this. 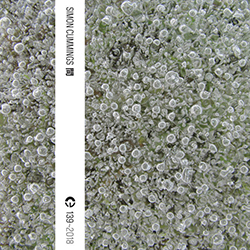 ‘Musgo’ (Moss) and ‘Allá lejos’ (Far away) are cases in point, the former an intense, dense noise-based texture within which clear bands are detectable as well as different behavioural elements – some rumbly, some granular – with a clear sense of restraint shown in the lower frequencies, while the latter is characterised by a glitched, regular pulsing in the midst of a throbby floating texture. ‘Tropismos’ (Tropisms) and ‘Pálida y móvil, sombra’ (Light and mobile, shadow) are even shorter, together lasting less than three minutes, but they go even further in presenting assertive ideas that are instantly engaging. Keeping these four pieces as brief as this is clearly Tolosa’s point, so one must be content to relish and revisit their fleeting moments; in ‘Pálida y móvil, sombra’ (which lasts 72 seconds), Tolosa is even sufficiently courageous to allow a substantial portion of silence to intrude. There’s truly something marvellous and mysterious going on in these miniatures.